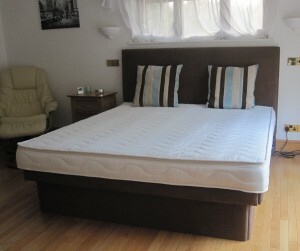 Visit www.bed-adjustable.co.uk/build-a-waterbed to build your own bed online. Certain necessary accessories are automaticaly included in the price such as a waterbed heater and waterbed safety liner regardless of whether it is hardside or softside. We are currently running a promotion of a free water pillow when you purchase a waterbed. This entry was posted on Saturday, November 20th, 2010 at 3:22 pm	and is filed under Waterbed Gallery, Waterbeds. You can follow any responses to this entry through the RSS 2.0 feed. You can leave a response, or trackback from your own site.